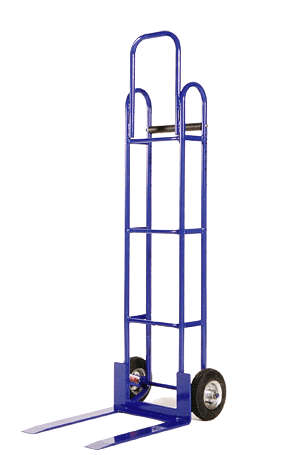 Route Wheeler Hand Truck | Drader Manufacturing Industries, Ltd. This wheeler is the classic two-wheel hand truck. Its compact size makes it most efficient for your drivers, as it is easily stored in the back of a truck or any other small space. It includes protective wear strips for those who need to slide loads down the back of a truck, and comes with 8” pneumatic wheels. Hard rubber wheels are available upon request.